Instruction and practice in close reading, research, and critical thinking as applied to academic writing, with emphasis on analysis, synthesis, and argument. Satisfies the University Studies Composition requirement. The course is designed to facilitate students’ development of critical reading, thinking, and writing abilities through close reading, analysis, and synthesis of texts. The course material and activities are intended to help students improve their reading, writing, and research skills, along with their critical thinking capabilities, contextual awareness, and the effectiveness of their persuasive and expository writing. The course curriculum emphasizes the process of academic writing: identifying audience and purpose, gathering ideas and support, organizing and integrating ideas, revising of material, and editing for clarity and accuracy. Through a variety of reading and writing activities, students of varying abilities can improve their individual processes and abilities in academic written communication. E. Understanding of thoughtful revision with regard to their own work, and improvement of their command of style, clarity, organization, voice, as well as English language usage and mechanics. The course, which is based upon analyzing horror movies and incorporating selections from New York Times, will consist of a combination of lectures, discussions, especially based on editorials, op ed pieces, and major stories, along with workshops, conferences, writing, and revising, as well as occasional film viewings. Students will have conferences about themes and related problems when necessary, at least two term-paper conferences (preliminary and rough draft). B. Write both informal responses and formal papers, completing at least 25 pages of formal written work. The first theme will consist of the students' discovery and appreciation of a particular horror film or a unit of horror films. Minimum 750 words. The second theme will consist of an analysis of the important components of a particular horror film or a unit of horror films. 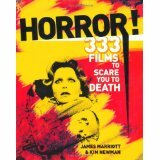 What makes it a horror film? Minimum 750 words. The third theme will consist of a unit of the forthcoming research-synthesis term paper about a horror film or a unit of horror films of your choice, with the permission of the professor. Appropriate MLA documentation must be included. Minimum 750 words. Students must write and type a term paper (min. 2,500 words, approx. 8-10 pages, depending on font size). With the professor's approval, they will select topics related to horror movies, choose their view points, and defend their positions. They will integrate their ideas with the results of their research, especially gleaned from The New York Times, using a minimum of six sources, including at least two from the New York Times, directly related to their topics. All sources used must be made available (in the original form, photocopies, printed downloads from the Internet, or other approved forms) to the professor upon request, especially during the rough-draft conference. These source forms, along with a bibliography exercise, a prospectus, and a rough draft approved in conference, are perquisites. Students who do not follow these steps will not be allowed to turn in their term papers and will fail the course. Students will also do prewriting exercises, including preliminary drafts, before handing in the final papers to be graded. Rewrites/revisions of final graded papers will be required and will count 1/4th of total paper grade. Students must have completed the final graded draft, plus post-revisions, of one paper before starting on the second paper. Final papers, including the term paper, late without excuse will be marked down one step of a grade (e.g., A to A- to B+, etc.) for each class period after the due date. Students who turn in final papers not meeting minimum word length will have their papers returned with requests to lengthen them. The revised papers will then be regarded as late and will be penalized in the same manner as above. A scrapbook journal throughout the semester will consist of clippings (at least 2 a week) from the New York Times related to their chosen term paper topic and other areas of interest, especially related to horror movies and the assigned Never Let Me Go. Students will write short commentaries on the content of the clippings and reasons for selecting them (minimum of 100 words a week for the total of each week's clippings). This scrapbook journal (with a minimum of 4 entries) must be handed in to the professor at least every two weeks, preferably on Mondays. This scrapbook journal will count as a theme. There will be a two-hour final reflective essay exam on the assigned works. Students may use the various Internet movies sites, such as Netflix, and DVDs, and computer labs to write and revise their papers. Students are also urged to attend a number of the activities related to Never Let Me Go or other Murray State U. Reading Experience activities, two of which are required. Students are urged to e-mail the professor about their problems with papers and attendance. Students who do not hand in all required exercises. themes, term papers, and revisions that are worthy of being graded will fail the course. Since English 105 is designed to help the students improve their writing skills, their final works are more important than their initial works. Hence, to get a certain grade in the course, students must have that grade on at least one of the last two final papers and the term paper--before revisions. If students do very poorly on the final examination, they will have their course grade lowered by at least one grade. Regular class attendance is vital to academic success. The official Freshman English absence policy will be enforced. Except in truly extraordinary circumstances, missing more than 10% of scheduled classes (4 MWF) will result in a lowering of students' course grades. All students must be aware that missing more than 25% of scheduled class sessions (10 classes) without excuse will result in automatic failure of the course. To avoid this penalty, students must offer plausible excuses, preferably written authorized, whenever they miss classes. Glenn, Cheryly, and Loretta Gray. The Writer's Harbrace Handbook. To find the site above, Google: http://www.murraystate.edu/english 105 online text 2011. Murray State University endorses the intent of all federal and state laws created to prohibit discrimination. Murray State University does not discriminate on the basis of race, color, national origin, gender, sexual orientation, religion, age, veteran status, or disability in employment, admissions, or the provision of services and provides, upon request, reasonable accommodation including auxiliary aids and services necessary to afford individuals with disabilities equal access to participate in all programs and activities. For information regarding nondiscrimination policies contact the Office of Equal Opportunity, 270-809-3155.